Snipline is a developer tool for organising shell commands. Store your complex commands with dynamic parameters for easy retrieval with a fast workflow in mind. One App. One Price. Countless Benefits. One app, you can access from anywhere, at one reasonable price, with unlimited use case possibilities. Speed up your flow by searching and copy commands without even touching your mouse. Use variables and multi-choice presets to copy commands for each use. Use Snipline for storing anything. 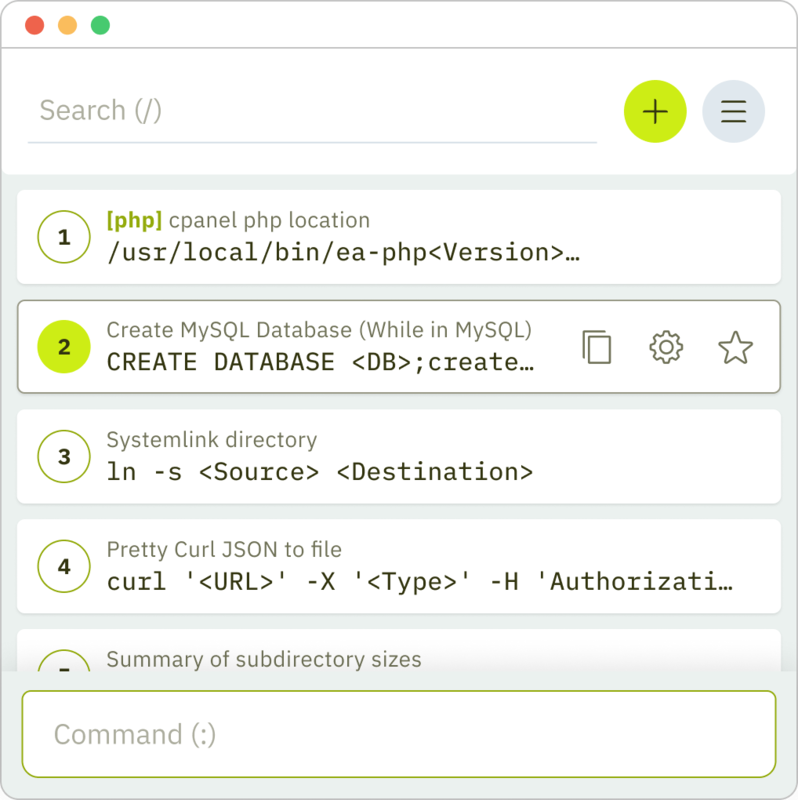 Excel Formulas, SQL queries, SSH commands, anything! Use your account on infinite devices. New features are added regularly. See our roadmap for what’s to come. No caps or tiers. Create as many snippets as your heart desires. 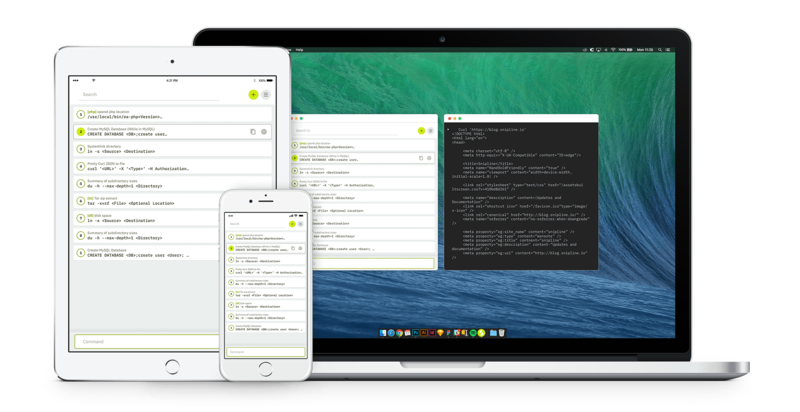 Streamline your workflow by using the Desktop app available for Mac, Windows, and Linux. Access your snippets on any internet connected device - perfect when you’re on the go. Store as many snippets as you like in one easy, quick place you access anywhere, any time. 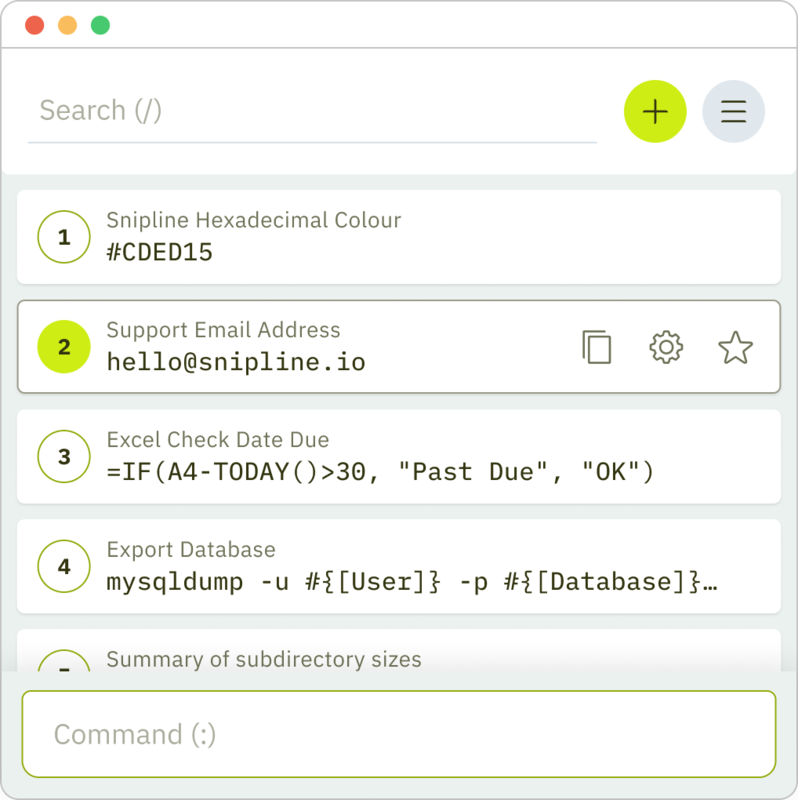 Use Snipline to add any snippet you frequently use in your daily tasks. Excel Formulas, SQL queries, SSH commands, anything!